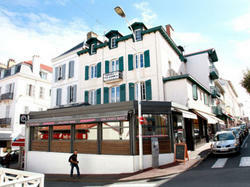 Located in Biarritz, Hôtel Saint James is just a 5-minute walk from the beach and the Barriere Casino. It is a 5-minute drive from the train station and Convention Centre. Guests of Hôtel Saint James can visit Biarritz’s main beaches, including Côte des Basques and La Grande Plage. It is also close to the covered market, Halles.